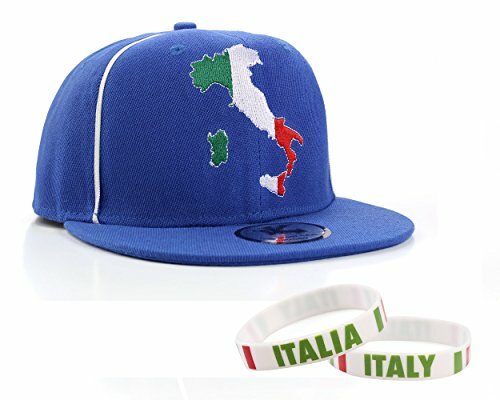 This duo pack includes Flat Peak Italy Snapback Cap & 2 x Italy Wristbands The limited edition Underground Kulture Italy Flat-peak Snapback cap is part of the newly released "World Edition". This is in Blue and features an image of Italy on the front and white piping. This is in a Snapback design and will fit all head sizes due the the snap adjuster on the rear. The limited edition Underground Kulture Italy Flat-peak Snapback cap is part of the newly released "World Edition". If you have any questions about this product by Underground Kulture, contact us by completing and submitting the form below. If you are looking for a specif part number, please include it with your message.